EACH IMPROV SHOW IS TOTALLY DIFFERENT! Tickets on sale now via Eventbrite! 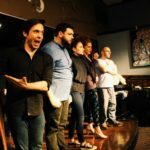 MAY 19: UrbanArias returns with a new set of improv games! Click here to purchase tickets to the Sunday, May 19 performance. Starring Melissa Wimbish, Britt Olsen-Ecker, Ian McEuen and Jeffrey Gates, with Tim McReynolds and Robert Wood on piano. UrbanArias specializes in sung audience-directed skits for your enjoyment! Tell us the story of your worst date and see it reenacted as an opera . . . or maybe you’d rather see Frodo Baggins duke it out with James Comey in a Wagnerian drama set in a rush hour metro car . . . anything is possible with UrbanArias’ opera improv! We take your suggestions and turn them into operas on the spot. Read our terrific write-up in Brightest Young Things! UrbanArias’ Eugene M. Lang Improv Series is inspired by the long life and remarkable career of its namesake, Eugene M. Lang. 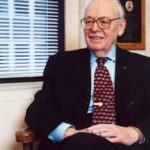 As an avid promoter of small business interests, he was referred to as the “quintessential entrepreneur”; he also devoted over 50 years of his life to philanthropy, and the betterment of the lives of others, particularly through education. As a recent start-up with an unorthodox but timely and approachable mission, UrbanArias is proud to wear the mantle of an entrepreneurial and visionary opera company, devoted to breaking down boundaries and bringing a modern version of a storied art form to a diverse public. The excellence of our programming reflects our own high standards as well as those of the Eugene M. Lang Foundation, and we are deeply grateful for their belief in our mission of bringing high-quality art to people of all backgrounds. Our improvisational performances are a particularly unique way to engage a public which is increasingly looking for interaction in their entertainment choices, and we would like to honor Mr. Lang’s legacy by dedicating this series to his great achievements in social justice. Featured projects include the Atlas Performing Arts Center, Eugene M. Lang Center for Health Sciences at The Chester Charter School for the Arts, Eugene M. Lang Junior Faculty Fellowship Program at Baruch College, Lang Youth Medical Program at New-York Presbyterian Hospital, Eugene M. Lang Center For Civic and Social Responsibility at Swarthmore College, Eugene Lang College, Project Pericles, The Lang Science Program at the American Museum of Natural History. Click here to learn more about our generous benefactors at the Eugene M. Lang Foundation. 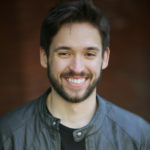 Ian McEuen (Tenor): OPERA: Madama Butterfly, Washington National Opera (Goro); Turandot, Virginia Opera (Pang); Sweeney Todd, New Orleans Opera (Toby); Man who Mistook his Wife for a Hat, UrbanArias (Dr. S); Tosca, Knoxville Opera (Spoletta); Butterfly, North Carolina Opera (Goro); Magic Flute, Arizona Opera (Monostatos); Butterfly, Glimmerglass Festival (Goro); With Blood, with Ink, Fort Worth Opera (Padre Antonio); The Lion, the Unicorn, and Me, WNO (Hippo/Holy Man/Dog); Ariadne auf Naxos, FWO (Tanzmeister). 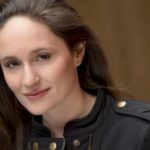 Melissa Wimbish (Soprano) SOLO RECITAL: Weill Recital Hall of Carnegie Hall; Terrace Theater of Kennedy Center. OPERA/CONCERT: The Dream Washington Ballet (Soprano soloist) at Kennedy Center Opera House; Mysteries of the Macabre, Baltimore Symphony (Soloist); Candide, Manchester Choral Society (Cunegonde); Carmina Burana, Washington Ballet (Soloist) Eisenhower Theater; Josephine, Urban Arias (Josephine); Paul’s Case, Urban Arias (History Teacher); Candide, Baltimore Symphony (Sheep). AWARDS: Baker Artist Award (2016); NATS Artist Award, 1st Place (2014); Franco-American Vocal Award (2014).